BrightHaven > Blog > Events > Fundraising > Unique BrightHaven Animal Sanctuary Facing Closure! Losing BrightHaven’s one-of-a-kind animal sanctuary due to unexpected financial challenges will be a great loss to the community and the many more animals who would have been served by our work, in addition to the significant negative impact closure will have on current animal residents. Since 1990, unwanted, old, disabled and chronically ill animals have found love, acceptance, family and a safe haven for life at BrightHaven (www.brighthaven.org). 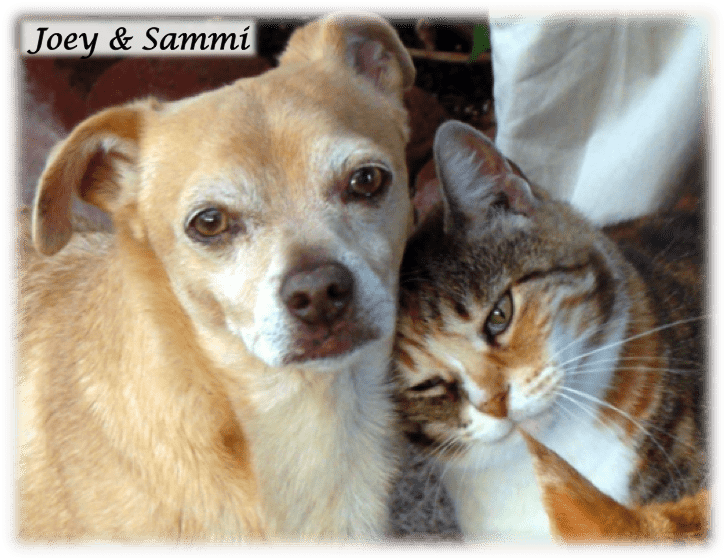 We have saved over 1,000 senior, disabled and chronically ill animals by giving them the gift of a loving and dignified home for life—however long or short that life may be. BrightHaven has also rescued and helped thousands more animals through its various programs. After nearly 30 years of taking in and helping the most vulnerable beings among us in their time of need, the BrightHaven sanctuary is now in dire need of its own. BrightHaven’s Northern California sanctuary is in serious danger of closing its doors soon, as a major donor who generously paid the property mortgage since 2014 is no longer able to do so. We need help to make these payments. Also, without additional funds, BrightHaven will be unable to make essential repairs to the sanctuary property to keep it in proper working order for the animals. With your generous help, BrightHaven can keep our doors open and continue our work to save defenseless, priceless beings like Bailey and Talya, who would not be alive today without our sanctuary. Bailey is our special world traveler, who came to us all the way from the streets of Taiwan! A lovely couple rescued him from almost certain death in 2009 and contacted BrightHaven. Bailey has touched the hearts of many since he arrived at his new home. Bailey has a broken back, most likely from being hit by a car while living on the streets, and his hind legs are paralyzed. When he’s not in his wheelchair, Bailey’s favorite place is on the sofa where he can keep an eye on all of the activity going on around him. Bailey also loves to feel the wind in his fur as he zoom fearlessly around in his cart. Look at him go! Born in 2007, Talya’s back was broken when, while nursing from her mother, she was hit by furniture thrown from an apartment window above. Talya suffers occasional and serious bladder and kidney trouble, but her spirit remains strong and tough! This once stray girl can best be summed up by adjectives such as strong, vibrant, feisty, loving and passionate. Many visitors to BrightHaven have been charmed by and lost their hearts to this incredible monkey with her inherent sweetness and surprising gymnastic ability as she scoots faster than most can walk, climbs the highest cat trees, adores her life with a passion and never hesitates to bite if she feels her wishes are not being respected. See for yourself what Talya can do! If we all work together we can give the gift of tomorrow to many more precious animals and carry on this important work. Please contribute to our cause and share our plea with your networks. We are forever grateful for your generous support!! !